The past week has been so busy for us at Sienci Labs. Here’s an update on what we’ve been up to. MRRF2019 in Indiana was a blast. I think one of the greatest things about this event is just the fact that there are thousands of dedicated makers and designers pushing to grow the reprap movement. 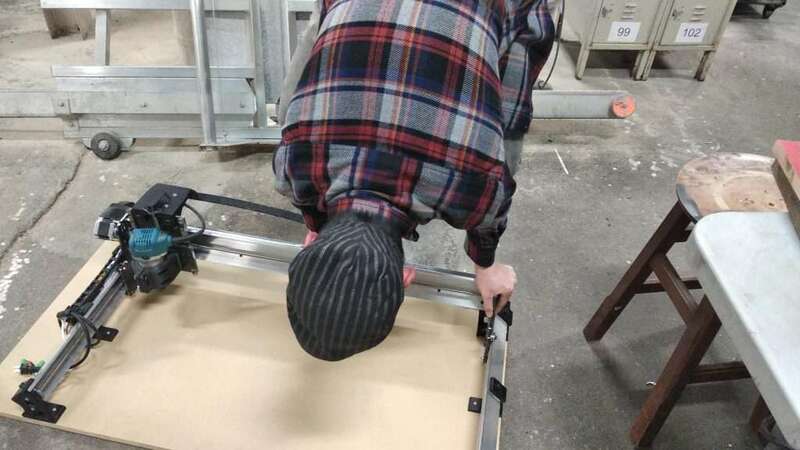 And of course, as machine designers ourselves, it was an awesome opportunity to learn about new designs and technologies, as well as connect with lots of people in the industry. 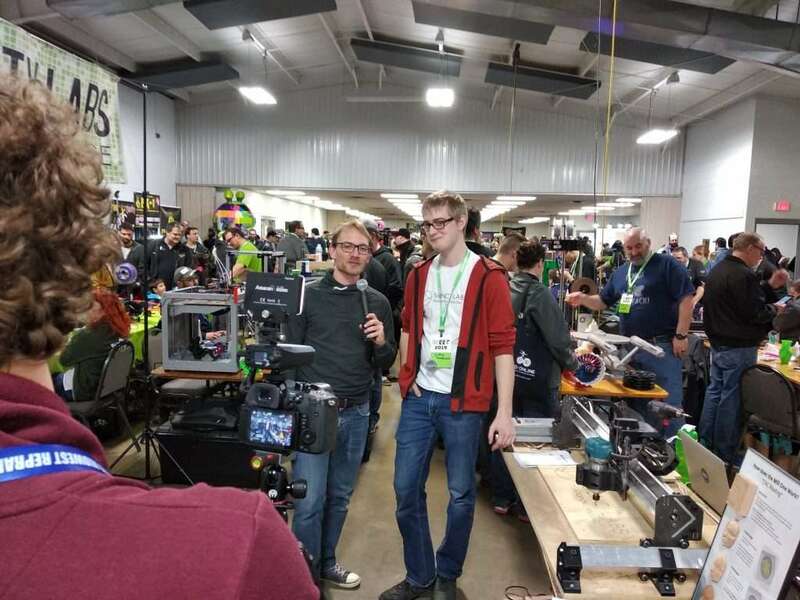 Also, Tom from Toms3DP made sure to drop by and interview us about the LongMill! Make sure to subscribe to his Youtube channel to watch the interview when it comes out. Before we left for Canada on Sunday, Josh from i3Detroit invited us over to come check out his makerspace. 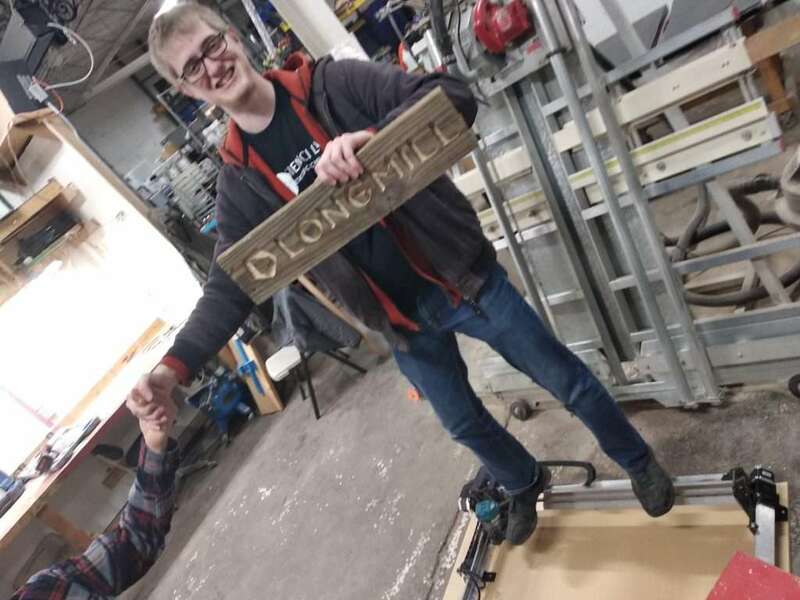 We brought over the LongMill to make some stuff and we also tried out standing and handstanding on the LongMill’s X axis to demonstrate how tough it is. Dangerous, but we signed a waiver. Wow, we’re just about a week in, and we are almost 300% funded! Due to the huge response, we have decided to start doing as much manufacturing as we can right now. The first place we will probably start with is the 3D printing. We will do a final once over on the parts, make any final changes and start printing them. The few other things we can do is start to order the parts and electronics in over the next couple weeks. We’ll be hosting another webinar/workshop next Wednesday (April 10, 2019 at 7PM). The topic will be around 2D carving/signmaking. https://www.youtube.com/siencilabs to join us on the livestream. Chris has spent the last couple days working on CAMLab to add some new features. Make sure to keep an eye peeled for updates on it soon!